Fresh Boko Haram’s attacks worrisome – Ndume – Royal Times of Nigeria. 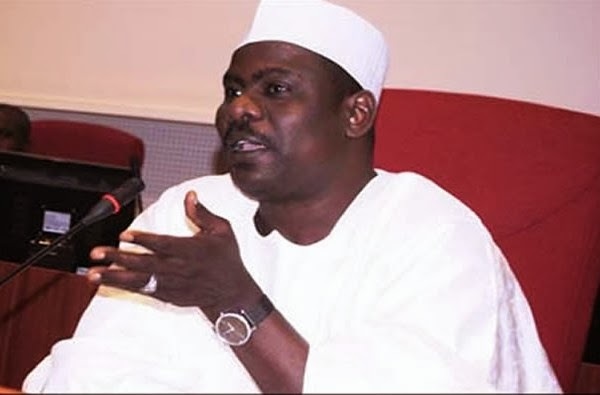 Sen. Ali Ndume (APC/Borno South) has expressed deep concern over fresh attacks by Boko Haram in Borno, and described the situation as “worrisome”. Ndume, currently serving a six-month suspension, told journalists in Maiduguri on Sunday that he would have invited security chiefs to explain what was happening, if he was in the Senate Chambers. “In Borno, we were already getting relaxed; we were sleeping with our two eyes closed. Now we are faced with a new challenge. “If I were at the Senate Chambers, I would have moved a motion to invite those concerned to explain the recent events to the National Assembly,” he said. He said that the explanation would have been crucial because the security agencies might be facing challenges not known to those outside. “May be they have challenges of funds; or logistics. It would be useful to know their concerns,” he said. Ndume suggested a total approach that would go after all the elements, “otherwise we will continue to have occasional situation like this”. “The last attack in Maiduguri was daring. Everyone should join hands toward ridding Nigeria of the remnants of the insurgents,” he said. On the reconstruction and rehabilitation of projects in the war-ravaged communities, Ndume called for more practical measures to facilitate successful implementation of the programme. “The amount earmarked by the Federal Government for the projects is meagre. We are not getting the deserved attention. The budget for the Presidential Committee for North-East reconstruction is too small. “The N45 billion provided for the project is nothing compared to the N245 billion donated by the International community. “More than 5,000 classrooms, 500 schools, thousands of residential homes, roads and water facilities were vandalised, while 22 local government areas were dislocated in the insurgency; the work is massive,” he pointed out. Ndume, however, commended the presidential food support programme, saying that it had alleviated the suffering of Internally Displaced Persons. The News Agency of Nigeria (NAN) reports that the military recently repelled series of attacks, including suicide bombings, coordinated by Boko Haram insurgents, in Maiduguri and its environs. NAN also reports that the University of Maiduguri was among the targets of some of the attacks.